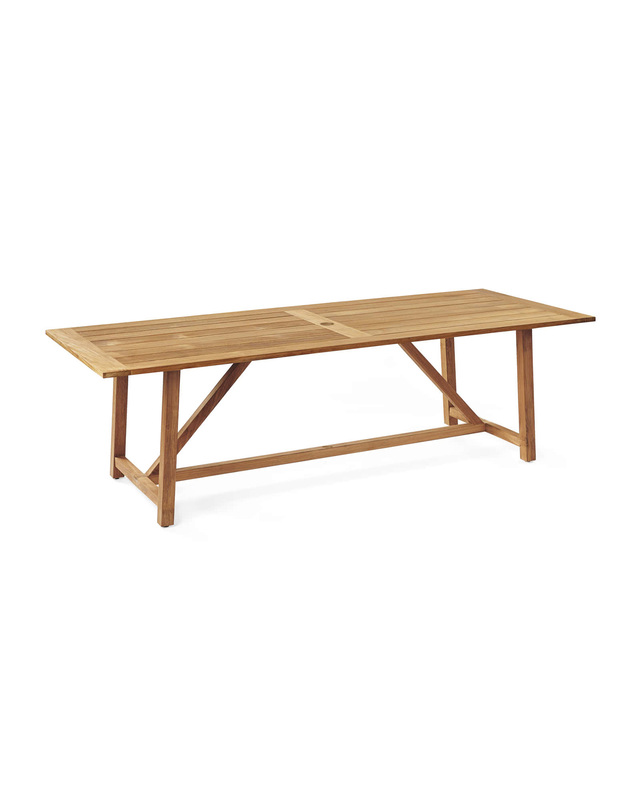 Crosby Teak Dining TableCrosby Teak Dining Table, alt="Crosby Teak Dining Table, "
Print A table that loves entertaining alfresco as much as we do. 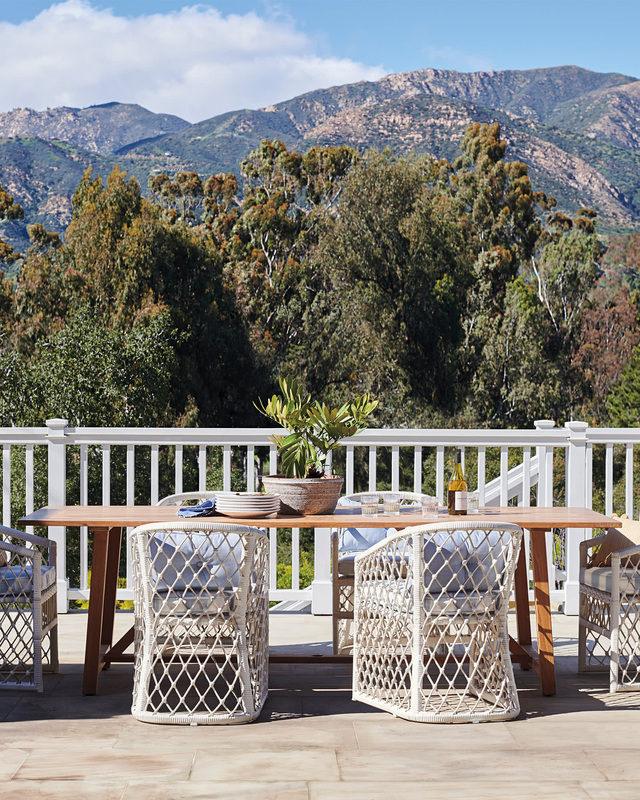 Every little detail was considered – from the weather-hardy teak to the planked top for easy drainage. 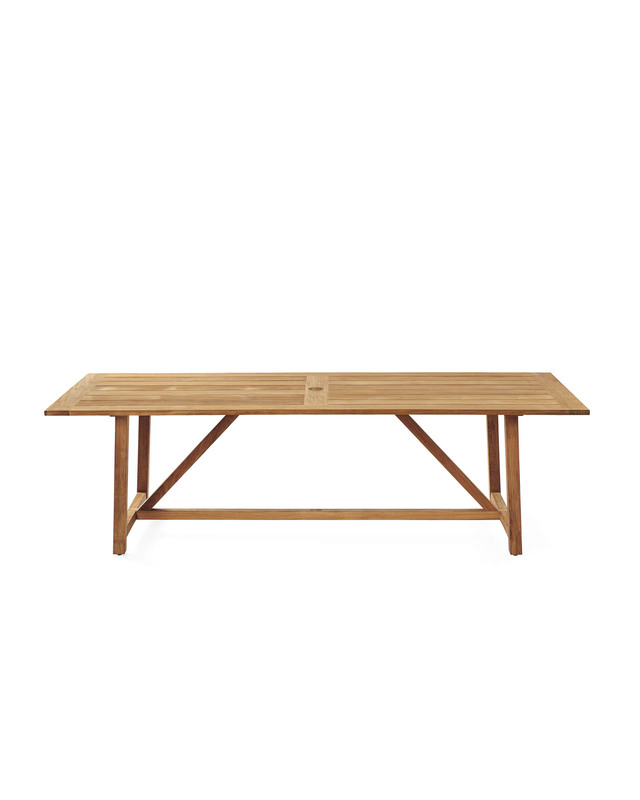 We like letting teak age beautifully over time, until it takes on its signature silvery grey hue. But if you’re partial to teak’s warmer tones, simply sand the patina off and start anew. Includes an umbrella hole at the center of the table; hole accommodates a 2”DIAM umbrella. 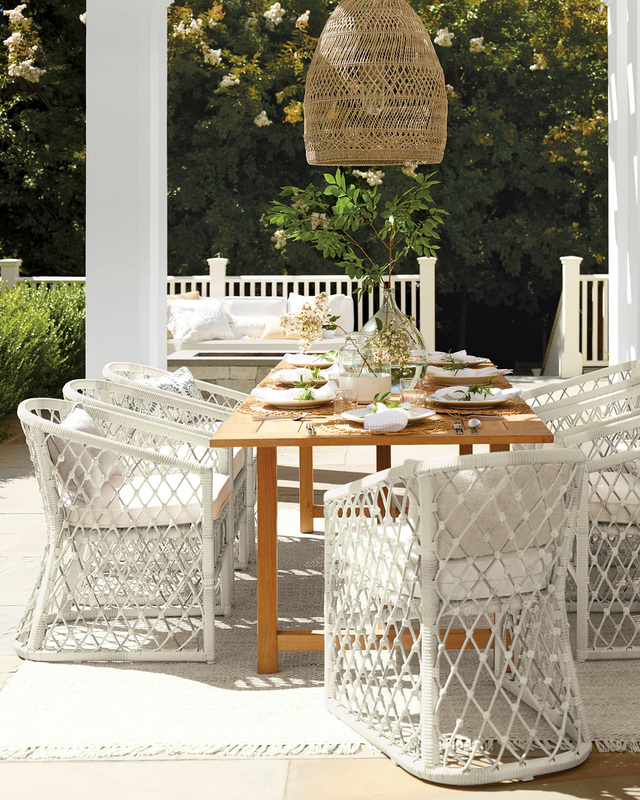 If left to the elements, teak will develop a beautiful silvery grey patina over time. 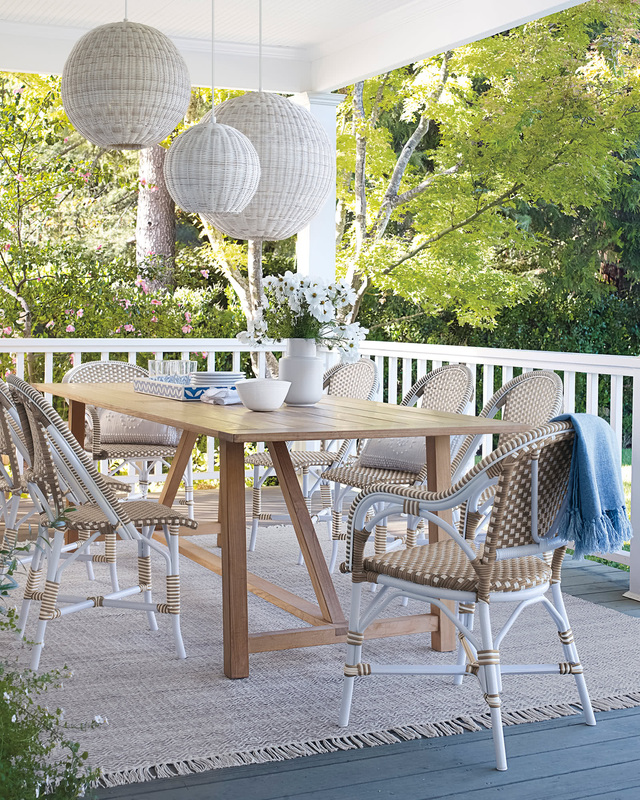 Apply teak oil 1-2 times per season to maintain the table's original finish. 39"W x 102"D x 29"H.
This item arrives in 2-4 weeks via White Glove Delivery. We deliver within the continental United States.